The Boxer is a popular dog worldwide. Known for their affable personalities and protective nature, they make a good choice for many considering adding a Boxer to their household. 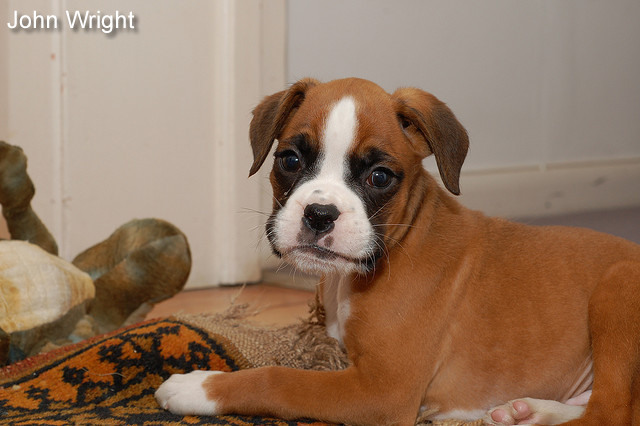 However, there are some points to consider before bringing home a comically adorable Boxer pup. You need to ask yourself if you have the time and attention to devote to this dog to make him into a well-behaved, well-adjusted canine. This is not a breed that you can throw in the backyard and ignore. Highly intelligent and energetic, their actions need to be channeled with training and positive reinforcement. If you skip these important steps, you will encounter digging, chewing and other behavioral issues. Remember that most canine behavioral issues are a result of human error. It is not the dogs fault when destructive behavior occurs. Are you right for a Boxer dog? 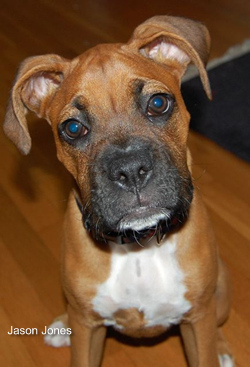 Will you take your Boxer pup to obedience classes? Will you walk him daily or spend time exercising him in your backyard? Will you take him to the dog park to encourage proper socialization with other dogs and people? These are all important things to consider before getting a Boxer dog. They are known to be fantastic with children, and thus make a good choice for a family as a companion and guardian. Their formidable looks, partnered with their protective nature make them a great choice for a family dog. Friendly and doofy, they enjoy being with their people more than anything else. Because of their high energy, they make great jogging buddies, although care needs to be taken due to their brachycephalic heads. This makes them sensitive to high heat and humidity. Also being a large to medium sized breed, it is not recommended to over exercise while their bones are still developing, usually until the age of around two. Boxers do have some health risks. They are prone to cancer and it is suggested that the moment you find any kind of lump on your dog they go to the vet immediately to have it checked out. They are also prone to heart problems, and a responsible breeder will have both the sire and dam of the litter tested for this prior to breeding. If you are willing to devote the time and attention to a Boxer, you will be repaid with love and sloppy kisses for years to come. Check with your local Boxer rescue and research reputable breeders who have their litters tested for health problems and preferably are registered with the AKC (or similar organisation for your own country). If you do not want to deal with the puppy stage, many Boxer rescues have adult dogs that are ready to go into new homes. 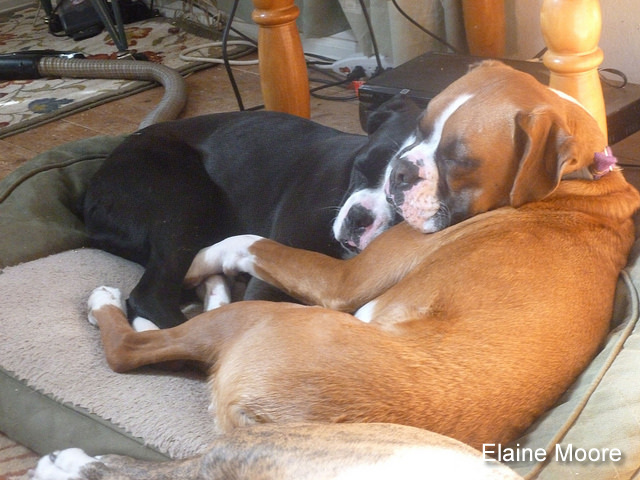 Many times, these Boxers have been in foster for some time already and their habits are already known, such as whether they get along with other animals and children. These older dogs can be instant companions and need homes just as much as cute little puppies, if not more.